For the best wedding videography New York has to offer, choose any of these talented NY wedding videographers to record every beautiful moment of your big day! You can also check out our friends at KidsParties.Party to hire a New York-based videographer who specializes in kids parties and events. Top-Rated Wedding Videography Services in NY! 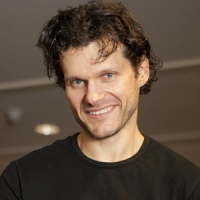 Founded in 2005, Chris Fig Productions has been pleasing brides and grooms everywhere, quickly becoming the go-to source for wedding videography in New York. All the documentary photographers believe in using a candid, unobtrusive approach in documenting the bride and groom's special day. 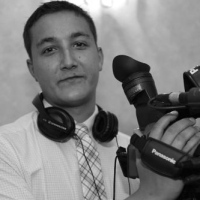 The talented videographers also specialize in birthday parties, bar mitzvahs, Quinceaneras, and other fun events. 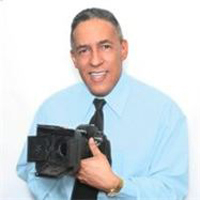 Chris Fig Productions has offices in both Manhattan and Westchester, and the videographers will gladly travel to Long Island, the Hudson Valley, New Jersey, Connecticut, and other nearby states. All you need to do is fill out the brief form on the website, and one of the company's representatives will respond to your request within 24-48 hours. Capturing Special Moments With Joseph Edwards Films! An acclaimed videographer of New York, Joseph Edwards provides a unique and passionate experience in making a prenup video. He provides a really passionate and beautiful story line where it reflects the love of the couple for each other. With Joseph Edwards' dedication towards making a quality prenup video, he will make sure that it will have a great story line where it will definitely impress everyone at the wedding. 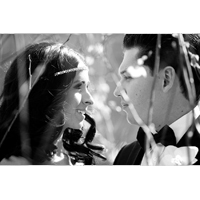 Let Joseph Edwards Films provide their wedding services to you. Book your reservations and contact Joseph Edwards Films through their website or by phone. Amazing Wedding Cinematography By Lux Photo Studios! 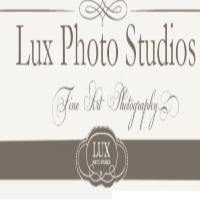 Have Lux Photo Studios make a wonderful prenup video on your wedding day. They will be sure to provide unique and sophisticated videography in which it will have a passionate and romantic story line. With their skills and experience in producing wedding videos, Lux Photo Studios can make everything special. Plan to have a special wedding here in New York and have Lux Photo Studios make a wonderful wedding video where it complements your wedding. Special Moment With Funico Studios! 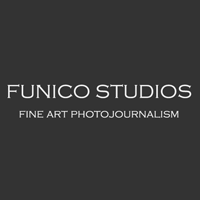 Let Funico Studios offer their wedding services in making a wonderful wedding video. An award winning videographer here in New York, Funico Studios offers a unique yet beautiful wedding video in which it captures the romance and the passion of the couple. They have the skills and the know how to make a wedding video that can wow everyone. Have Funico Studios make a spectacular wedding video for your wedding. Book your reservations and have Funico Studio make your wedding even more special. A Special Wedding Video From Photo Video King! Have the best wedding videographer for your special occasion. Let Photo Video King make quality videos where it tells the love story of the couples complete with a great story line and great angle shots. Photo Video King will make sure to satisfy your desires in having an amazing wedding video where it captures the special moments of your wedding. Plan your New York wedding and let Photo Video King make a spectacular wedding video for your guests to see. Capturing Special Moments With Cifre Digital Photo Lab! With Cifre Digital Photo Lab they can provide to you a wonderful wedding video which captures the special moments of the couple. They dedicate themselves towards client satisfaction and producing a unique wedding video that is sure to impress. Among the experienced and skilled videographers here in New York, Cifre Digital Photo Lab can make every moment at the wedding even more special. Contact Cifre Digital Photo Lab today and let them produce an amazing wedding video where it tells the love story of the husband and wife. Capturing Great Moments With Moho Creative! An award winning wedding videographer here in New York, Moho Creative makes every wedding video special. With their eye for detail they will be able to make a dramatic scene by capturing amazing moments to make a great wedding video. Moho Creative has the right equipment and a trained staff. They have the capability to produce a great story line and make an amazing wedding video. 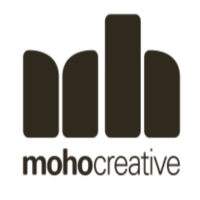 Let Moho Creative provide their services for your wedding. Book your reservations today by visiting their website or call them at their phone number. Special Moments By Michael Justin Films! Have an amazing prenup video that will amaze your guests on your wedding day. 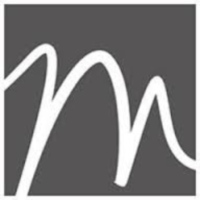 Let Michael Justin Films offer their wedding services. They will be able to produce a great story line for your prenup video and can capture special moments and make a great video out of it. Michael Justin Films has the right equipment and the know how to produce a quality video and make it special for your wedding. So plan a very special wedding here in New York and have Michael Justin Films provide their services in making a great prenup video for your wedding. Making A Great Video For Your New York Wedding! Have Asymmetric Pictures provide their wedding services. 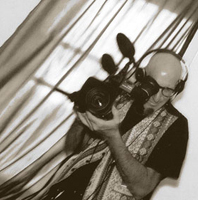 Headed by Alan Roth, he is a dedicated videographer who provides a unique style of making a wedding video in which all the special moments are captured and made more dramatic. You will definitely enjoy the wedding video that Asymmetric Pictures has produced and with their eye for detail Asymmetric Pictures will make sure that even the littlest of things is special. Contact Asymmetric Pictures today and make your reservations for their services. They will absolutely do a great job in making a wedding video. 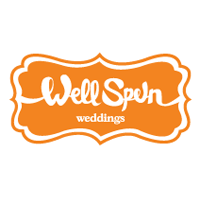 Wedding Made Special With Well Spun Wedding! Have a happy ever after wedding here in New York and let A Well Spun Wedding capture all the special moments and the great scenes of the special occasion. Headed by Jon Gangwer, Well Spun Wedding will make a wonderful wedding video in which every captured moment is made into a great story line in the video. You will definitely be amazed with what they can do to your wedding video. Have Well Spun Wedding provide their wedding services. They will definitely make a special wedding video in which all the great scenes and the special moments are made into a wonderful wedding video. Making Special Moments Even More Special With Bond Street Productions! A preferred choice here in New York who can make an amazing wedding video and prenup video, Bond Street Productions has a very dedicated team and will do their very best in providing an amazing prenup video that your guests will enjoy watching at the wedding. Also they can create a special wedding video in which all the cherished moments are captured and made into a great video. 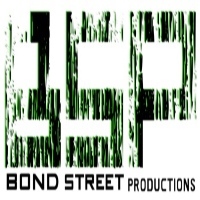 You will definitely be satisfied with what Bond Street Productions can provide to you. Have Bond Street Productions provide their wedding services. Book your reservations today and have Bond Street Productions make an amazing wedding video for you.